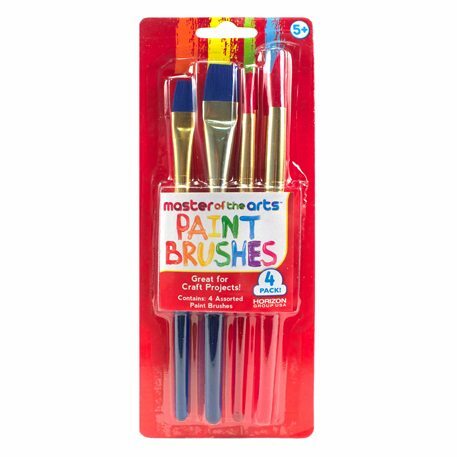 Use these 4 Assorted Flat and Round Paint Brushes to create your own work of art! Paint with acrylic or washable paints at home or in the classroom! Brushes come in assorted sizes with a grip handle so it’s for a child to hold.